This is a true story, It happened last Friday night. Mt wife and I went to our nearby winery to listen to one of favorite musical groups, Sadie Wagoner and her father Mike. They are fantastic. Want to hear the greatest ever rendition of HALLELUJAH just google "Sadie Wagoner...Hallelujah," Here is the link. https://www.youtube.com/watch?v=d5fhIEv635U But that is not what this post is about. At the bar, I was talking to a friend, Rex and his wife Annie, Rex asked me how my book sales were going, so we started discussing it. Another Marine down the bar heard our conversation and asked to talk to me about my USMC and Vietnam experience. I had never met this Marine before. We sat down, had a drink and and did the usual thing comparing experiences. Turns out he was atop the Rockpile observation post that I landed on to resupply the troops up there. 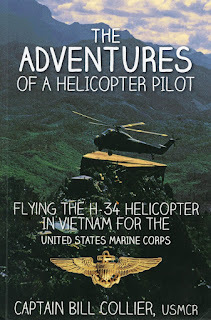 In telling him that I landed there, I showed him my bookmark that shows the cover of my book, an H-34 landing on the platform. He said, "I built that platform." 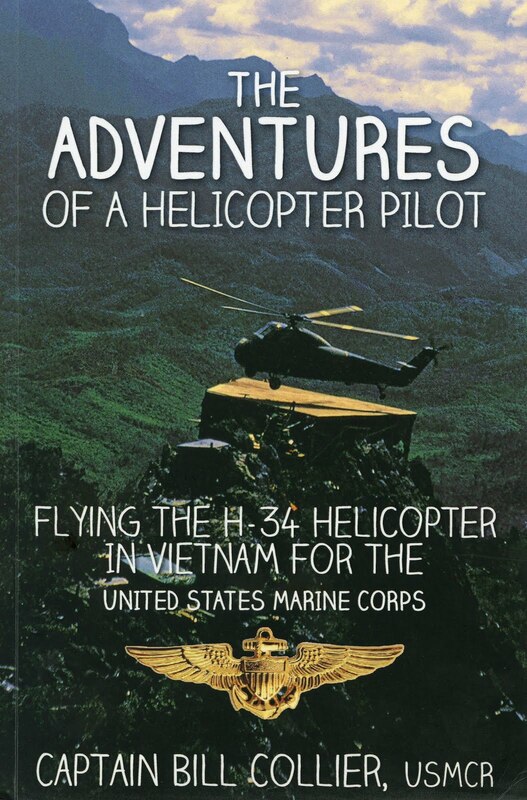 He just recently was awarded a Silver Star for his heroic actions in Vietnam in 1967. I think we have the beginning of a great friendship.